Alison.com - Welcome to ALISON – a seven million-strong, global online learning community, filled with free, high-quality online education resources to help you develop essential, certified workplace skills.Whether you are seeking a new job, a promotion, a college place or starting a new business, ALISON empowers you to improve your economic and personal circumstances, and through you, that of the community you live in. New skills and knowledge makes you a more valuable employee, whether working for yourself, for an employer, or future employer. With today’s workplace changing faster than ever, it is essential everyone keeps learning new and updating old skills to remain or become competitive in the workplace. ALISON is for anyone taking their first step to a new or better job. ALISON is as individual as you are. Brainly- This site gives students a chance to study with their peers, ask questions and get help from others with the same subject as them. You can get into a biology group study session with peers all over the country. Getting help with questions you've been struggling with and helping others in the group with problems they've been struggling on. This online study group gives you a chance to help others and also get help from other students just like you who are working on the same subjects you are. Best of History Websites - Best of History Web Sites, created by EdTechTeacher Inc, is an award-winning portal that contains annotated links to over 1200 history web sites as well as links to hundreds of quality K-12 history lesson plans, history teacher guides, history activities, history games, history quizzes, and more. Best of History Web Sites has been recommended by The Chronicle of Higher Education, The National Council for the Social Studies, The New York Public Library, the BBC, Princeton University, -- and many others. CK-12 - CK-12 gives you free online textbooks, flashcards, adaptive practices, real- world examples, and simulations. This free source offers students a chance to get more out of their textbooks. CK-12 offers many resources for teachers, students, and parents alike. There is a teacher version that gives teachers access to math and science lesson plans, textbooks, worksheets, real-world examples and teacher resources. This free site gives teachers access to new and fun ideas for teaching math and science. Check out also CK-12 Braingenie! Braingenie allows you to work more indepth in math and science and compete with others to win badges and take the top spot on the leaderboard. It's a fun way for children of all ages to learn and have fun doing it. Common Sense Education - This is a site that has the goal of organizing apps, console and PC games, and websites by subject and grade level, so that teachers can easily find resources that match their teaching needs. Coursera - Take the world's best courses, online, for free. Choose from 300+ courses in over 20 categories created by 62 Universities from 16 countries. Watch short video lectures, take interactive quizzes, complete peer graded assessments, and interact live with your new classmates and teachers. Finish your class, receive recognition for a job well done, and achieve your goals, whether they be career, personal, or educational. Creative Live - This site streams videos of classes and workshops with some of the most creative people in the world. The classes are free to watch if you watch them live. If you want to watch them after the even you will have to pay. If you just want to learn for free, visit the On the Air Now page to see all the live videos that are free to watch. Daily Writing Tips - This website offers great ideas for areas of focus when teaching writing skills such as tips for brainstorming or using synonyms. It organizes its information into a series of categories ranging from book reviews and grammar to spelling and writing basics. All of which can help students learn simple ways to improve their overall writing. 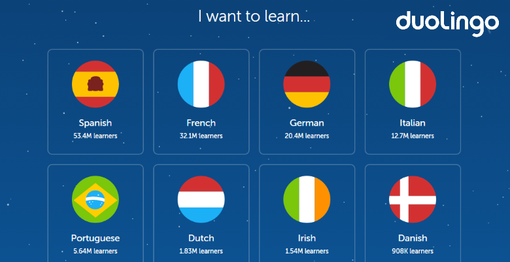 DuoLingo - DuoLingo offers free language courses to anyone who wants to learn. You can learn 20+ different languages through this free course platform. They offer fun and interactive games to help you pick up a new language easy, fun and fast. There is also a DuoLingo for schools that helps you bring learning a new language the fun way to your classrooms. EdX - Take great courses from the world's leading universities. EdX increases access to high-quality education for everyone, everywhere. You can take 5-6 week courses on anything from robots to financial planning. Take classes on your own schedule 24/7 without having to get accepted to a university. You have access to multiple universities with this site and can take many classes to help you earn a certificate, earn university or high school credits or to advance your career. GCF Learn Free - Goodwill Community Foundation's LearnFree creates and provides quality, innovative online learning opportunities to anyone who wants to improve the technology, literacy and math skills needed to be successful in both work and life. By delivering over 750 different lessons to millions of people in over 200 countries and territories ABSOLUTELY FREE, GCFLearnFree.org is a worldwide leader in online education. Gifted and Talented Teacher Resources - This webpage gives teachers all the resources they need to help their classroom be successful. Students too can use this webpage to find other internet sites that will help them with their studies in Math, Science and Technology, Language Arts, History, Social Science, etc. This site gives you endless links to other great sites of learning and resources. HowStuffWorks﻿ - Learn How Everything Works!﻿ - HowStuffWorks, a wholly owned subsidiary of Discovery Communications, is the award-winning source of credible, unbiased, and easy-to-understand explanations of how the world actually works. Founded by North Carolina State University Professor Marshall Brain in 1998, the site is now an online resource for millions of people of all ages. On HowStuffWorks, you can also find consumer opinions and exclusive access to independent expert ratings and reviews from the trusted editors at Consumer Guide -- all of the information you need to make a purchasing decision ­in just a few clicks. Khan Academy - With a library of over 4,200 videos on everything from arithmetic to physics, finance, and history and hundreds of skills to practice, we're on a mission to help you learn what you want, when you want, at your own pace. Khan Academy is a free site that gives parents refresher courses to help their children with homework. It can help college students get a refresher course in math to take a placement exam, to help with a difficult subject in history, etc. Khan Academy gives you a free online course that allows you to go at your own pace. Lynda.com - Although this is a paid subscription service, it is an amazing resource. If you want to learn anything about using your computer, tablet, smart phone, or software - Lynda.com has thousands of video-based training courses available. They are the best in the industry. Monthly subscriptions are $25 for the regular subscription, or $37.50 for the premium subscription (premium includes downloadable exercise files the instructors use in the training). Yearly plans run $250 for regular, and $375 for premium. I have personally used Lynda.com training for years, and can heartily recommend their product. Buying a month's worth of training is cheaper than buying a book. You can end your subscription anytime. 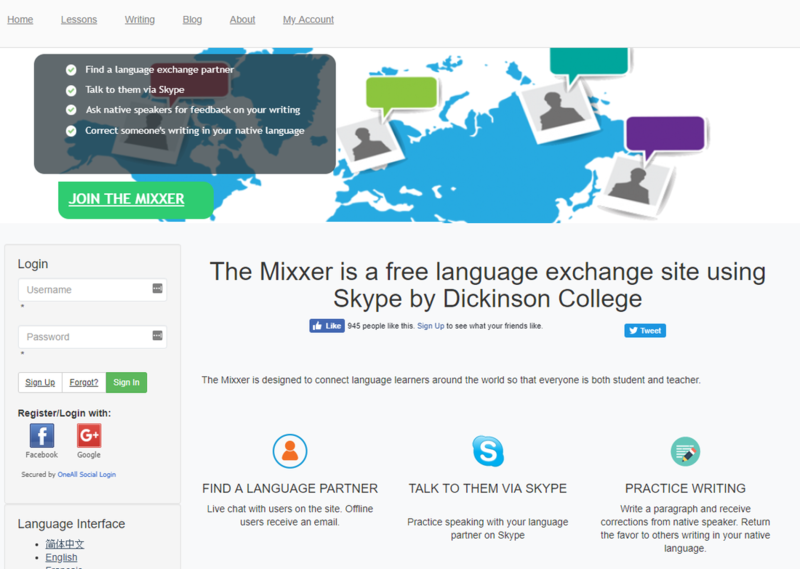 The Mixxer is a free educational site for language learners hosted by Dickinson College. The Mixxer is designed to connect language learners around the world so that everyone is both student and teacher. OpenCulture - The best free cultural & educational media on the web. Open Culture brings together high-quality cultural & educational media for the worldwide lifelong learning community. Web 2.0 has given us great amounts of intelligent audio and video. It’s all free. It’s all enriching. But it’s also scattered across the web, and not easy to find. Our whole mission is to centralize this content, curate it, and give you access to this high quality content whenever and wherever you want it. Free audio books, free online courses, free movies, free language lessons, free eBooks and other enriching content — it’s all here. Open Culture was founded in 2006. 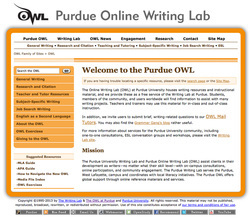 OWL - The Purdue Online Writing Lab - This free and navigable site is useful not only for people with English as a second language, but could also benefit someone taking an English course, looking for a job, or writing professionally. For those looking for proper citation instructions, this free site has many useful tools included guides in formatting (APA, MLA, etc.) and an example paper in the chosen format. 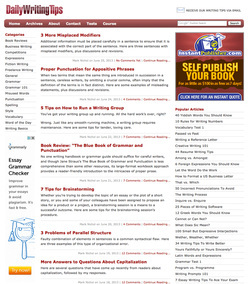 The site has resources about avoiding plagiarism, developing a resume, and more. TED, TED-ED, and TED Books [Learn more!] - TED is a nonprofit foundation devoted to Ideas Worth Spreading. It started out (in 1984) as a conference bringing together people from three worlds: Technology, Entertainment, Design. Are you tired of watching the news, and of only hearing about tragedies, murder, wars, and general mayhem? Then you'll find TED to be a breath of fresh air. Every day, you can listen to a short talk (10-20 minutes) from someone who is making a difference in the world. You'll find many to be inspiring. TED-ED allows teachers to turn any YouTube video, TED talk, or TEDx talk into a lesson plan, where students can respond to questions, and teachers receive feedback on their responses. WolframAlpha - Wolfram|Alpha introduces a fundamentally new way to get knowledge and answers--not by searching the web, but by doing dynamic computations based on a vast collection of built-in data, algorithms, and methods. YouTube Education - Whether you're doing research for a project, need help with homework, or just want to learn something new, YouTube EDU features some of our most popular educational videos across YouTube. This channel was generated automatically by YouTube's video discovery system. This limits YouTube browsing to only those items that are deemed educational. Check out our How To page for a more in depth understanding of Youtube and the great tool it can be for learning.